During his long tenure on the bench, Harlan gained prominence as a frequent dissenter. With a temperament that was better suited to leading than following, Harlan did not have the ability to negotiate compromise. Instead, he relied on his dissenting opinions to voice his often prophetic judgments. Harlan's most famous dissent came in Plessy. At issue in this case was an 1890 Louisiana law that required passenger trains operating within the state to provide "equal but separate" accommodations for "white and colored races." The Supreme Court upheld the law on a 7–1 vote, thus putting a stamp of approval on all laws that mandated racial segregation. In his majority opinion, Justice henry b. brown concluded that the Fourteenth Amendment "could not have intended to abolish distinctions based upon color, or to enforce social, as distinguished from political, equality." Justice Harlan also taught Constitutional Law at Columbian University (now George Washington University) and served on the Bering Sea Arbitration Tribunal of 1893, which resolved a dispute between the United States and Great Britain over the hunting of seals inhabiting the Bering Sea area of Alaska.Harlan died October 14, 1911. 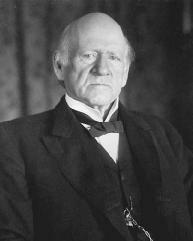 His grandson, john marshall harlan ii, also served on the Supreme Court. Chin, Gabriel J. 1999. "The First Justice Harlan by the Numbers: Just How Great Was 'the Great Dissenter?'" Akron Law Review 32 (summer): 629–55. Harlan, Malvina Shanklin. 2002. Some Memories of a Long Life, 1854–1911. New York: Modern Library. ——, and Linda Przybyszewski. 2001. "Memoir: Some Memories of a Long Life, 1854–1911." Journal of Supreme Court History 26 (July): 97–212. Przybyszewski, Linda. 1999. The Republic According to John Marshall Harlan. Chapel Hill: Univ. of North Carolina Press.